What I call a “Community Virus” is a fraction of a community that sets a bad example. You know, when you’re a part of the society and there’s a small (or larger) number of people doing bad stuff and are loud and annoying at the same time, and you tend to get embarrassed while shopping near them in the supermarket or at the airport. I was reading an email from Curtis with his manifesto – “NO is NOT a Curse Word” (definitely subscribe here and read it) and he’s explaining his strategy for working with customers and valuing his services. It’s a great read and I would certainly recommend it to every freelancer and agency owner out there. There are numerous tips in this book that would shift your understanding about the business world and the whole business relationship as long as you apply them. Whenever a Community Virus infects a given community, it’s important for that society to get rid of it as soon as possible. Otherwise, contagious viruses tend to turn into a plague, and it’s incredibly tough to heal and get back to the normal state in question. And the Community Plague of WordPress is the pricing and service quality. Stanko and I were discussing the Java community last week since we’ve rebuilt the local Java Meetup Group website. I was a Java developer before (and a Sun certified Java programmer) and the reason I stepped into PHP was that it was the only way to do freelancing back then. I had some Java and Python background and C# experience, but there was no freelance ecosystem for Java or C# developers – projects are large, usually enterprise-y, so enterprise businesses hire large development companies with hundreds of developers for each project. Those projects aren’t necessarily complicated. I’ve seen a good number of projects worth millions of dollars, that could easily be built for a 100K or so. But that’s how the community there works, and that’s how they’re selling themselves. PHP was easy to get in – I learned it overnight (three nights to be exact) when I was reassigned to rewrite a company Java project in PHP. It was much easier for students and young freelancers, too – and building websites became a commodity that required a large pool of people who can do that. So far, so good. However, unlike other programming languages – C/C++, Java, Python, C#, Ruby etc – PHP does not require any entry level. It sets no boundaries, it’s easy to do everything. The language is damn tolerant, even significant errors can sometimes be parsed by the engine silently without crashing everything. Try with a minor syntax or linking error in another language and see how the server goes down in an instant. And given the memory management in C/C++ – you won’t risk to do anything with someone who’s not a wizard in the language. There are also tons of ways to build web solutions with PHP. There’s no clear convention, no “best practice” book (or too many of them, depends on where you stand), and hundreds of frameworks. Quality is arbitrary, the majority of the projects don’t require enough resources and won’t alert a wanna-be developer that the code is terrible. At the same time, frameworks and CMS take care of the heavy lifting and cover the obvious holes. I won’t get into technical details given my favorite article about PHP: a fractal of bad design, plus I’m not a language evangelist anymore. But two things are clear: PHP was one of the major reasons that made freelancing and remote working possible and more affordable in the IT world, and it’s been incredibly easy to get into PHP development even if you have zero technical background so far. Once you start having separate operators for each type you start making the language much more complex. ie. you can’t use ‘==’ for stings [sic], you now would use ‘eq’. I don’t see the point, especially for something like PHP where most of the scripts will be rather simple and in most cases written by non-programmers who want a language with a basic logical syntax that doesn’t have too high a learning curve. PHP – scripts written by non-programmers for basic logical syntax and low learning curve. So that’s the good thing – getting more people into programming is great. But how about the quality? The lack of worldwide conventions is frightening. People write whatever they want however they want. There is no strict discipline for learning the environment – server management, performance or security basics, not to mention packaging, unit testing or anything else that’s been an integral part of the other platforms out there. Since WordPress is also built on PHP and the easiness of the admin has attracted millions of bloggers and regular users, that’s much more apparent here, too. There is no reputable and worldwide-recognized training program that is being used for reference in order to acquire experience and learn the concepts of the language or the platform. That vague quality factor affects the pricing, too. Why? Well, because everyone could become a developer. If I got a dollar for every “WordPress Expert” or “WORDPRESS Specialist” I’ve seen over the past few years, I would be able to buy a penthouse in New York now. People tend to edit a few files and self-reward themselves with an expert position in a job that usually requires years of experience. They read a quick tutorial and say: “Alright, that’s easy – I get it, so I’m a pro”. They customize a theme and they suddenly become GURU theme developers. And since they don’t have a proven track record of successful projects, or they come from no job/no education background or a regular, low salary job, they start building web projects. Websites for $200? Done. Maintenance for $5/m? Checked. $15 customizations? Why not. Custom themes for $30? Sure. The market is trying to stay afloat. 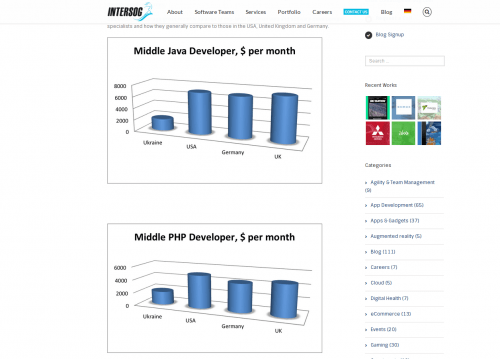 More engineers try to jump on the WordPress bandwagon, commanding comparable technical salaries. “If everything in this industry is copy-paste from other sites or editing themes and plugins, then it’s all easy and we can certainly do it”, they say. That wouldn’t have been a problem if that was not a representative number for the majority of the industry. And yes, I’m serious – while 1% of the WordPress “developers” or “designers” are actually a part of our community that values the standards, attends conferences in order to learn more, share experience and get better, about 99% have never heard about that community and never cared about it. All they care about is attending Chamber of Commerce events or other meetups and selling $200 sites to their clients. Quality is impossible with the wrong pricing strategy. Yes, a small percentage of these 99% are also educated and experienced people and agencies with a solid background. But if you don’t believe me, spend a day or two looking for WordPress developers. I’m serious – try it. Go on oDesk, Elance, Freelancer.com, Guru and the other large freelance networks. Quick example. There are 201,819 freelancers with WordPress skills on oDesk right now. 88,690 of them are within the $3-$10 hourly rate, and another 80,845 are in the $10-$20 per hour rate. Extrapolate it to all of the other networks and see what happens. Look for “WordPress developers” on Google as well – tens of thousands of small agencies and freelancers offering their services. Now, don’t get me wrong on the pricing factor. Even though the work is all the same, the costs in India or Pakistan are a tenth of the costs in San Francisco or New York. But even so, conduct a few interviews with them and let’s not compare costs, but actual value, experience, and background. I’ve interviewed more than a thousand people on oDesk and Elance since 2010. Most of them were WordPress “experts”. And I’ve successfully worked with about 5 of those WordPress “experts”. You can’t imagine what percentage of them edit the WordPress Core to fix a website, and I’ll just stop there since the list is long, very long. WordPress.org conducts its annual study about the number of people working with WordPress, and it’s in the tens of thousands. In reality, over a million people can be easily found and hired online for WordPress work. Would you consider the total number of self-made “experts” real? What would be your expectation for the percentage of actual professionals in that large pool of people? Right. But almost all of them work with clients. They win projects and deliver work. And those 99% define the standard for the cost of a project, the type of work, the quality of the end product and the easiness of WordPress. And because of them for every client you meet, there are 99 people who would be willing to charge him $200 or $500 and deliver a quality for $0. They will know nothing about design quality, user experience, code quality, performance or security, reliable hosting solutions or whatever. They will edit files from the WordPress editor or FTP on a $1/m hosting, scrap a cheap (or even warez) ThemeForest theme and mix up a few bloated plugins. And the average Joe looking for a solution will ping some of his friends, and probably most of them have already conducted the research and worked with a 99% rep. If you were a client with no technical background, what would you see? 99 “experts” on $10/hr rate and one crazy dude with $80, $120, $150, $200/hr or whatever rate. Statistically, that’s the marginal error of someone willing to rip them off. Try comparing that to the other communities. As I said on WP Tavern, I get regular work requests for Java, Python, Android or other technologies that I’ve worked with – even other PHP frameworks – and the perception is completely different. The communities sell themselves differently. They value themselves in a specific way and operate like that. The margins in enterprise-level technologies are huge, but even the comparison to other PHP systems is frightening, see “Why Drupal Developers Make x10 More than WordPress Developers” by WPML. What about the doctors or lawyers? How many of them have you seen representing themselves for fake experts, or drastically undercharging for their services? Even considering the average cost of a plugin or a theme in the WordPress community is a joke. A $50 or $70 theme is somewhat average for most theme markets. If a single theme shop triples or quadruples the cost, they won’t get any sales because the 99% will buy from the other stores. And they’ll sell $250 sites with a $50 theme, right? Imagine what will happen if the average cost of a theme turns to $400 overnight across the entire WordPress theme market network. It’s a 6-8 times more. Since the 99% possess no skills whatsoever, and understand nothing about design, they will have to keep buying beautiful themes. Therefore, all of them will keep purchasing from these markets, but they’ll start charging $600 or $800. Now, is $400/theme closer to a custom design than $50? Yes (not equal, but it’s closer). Is $400 a sustainable model that would allow a theme company to build a product with high quality, usability testing, decent support, compared to a $50 theme? Well, yes. How many broken, non-supported or poorly written cheap plugins have you seen? I won’t mention the free ones for a bit, but over the last 2 months I’ve cursed at least 5 plugins with $100 or more single license costs each. Even they can’t afford to spend more time in high-end development, QA, usability testing, because the number of sales is low. What if they sold for $500 a piece? Or $800? People keep complaining about WordPress being insecure, sites getting hacked all the time and so forth. Most of the agencies who hire me as a consultant call me for security code reviews, performance optimizations or setting up servers since their clients were hacked multiple times due to working with “experts”. I’ve had prospects arguing with me: “Websites don’t work, we have never gotten any clients from them” when they had purchased a $200 website. It’s setting the bad example just because SO MANY freelancers and agencies offer website installs without bringing any value on the table whatsoever. So yes, I would most certainly recommend everyone to read Curtis’ Manifesto. And I’ll share my free Clarity link for a week for everyone who wants to provide quality and improve their skills and stop offering cheap solutions without spending enough time to understand the model by providing actual value. Which is why I have my own Contributing Manifesto. Until then, we’ll keep struggling to provide quality and spend hours and hours educating clients on the difference between a generic WordPress install and a business engine that generates leads. What a wonderful article you have written. to spend quality time on solution to provide the the real value to the client. Thank for taking time and writing it! Thanks Moshin – the potential in WordPress is immeasurable, we just need to establish some metrics in order to identify the real professionals and charge properly for value, and not for plain WordPress installs. Completely agree with everything you’re saying. It’s the curse of WordPress, everything that makes it great is also secretly killing it from within. The barrier to entry is so low that it’s extremely easy for anyone to do a one click install and purchase a theme with no idea of what they’re doing, and it’s popularity now makes it ideal for businesses who aren’t invested in supporting the product/community, but simply using it for financial gain. This has also led to the community now being filled with people who simply want advice for free, or even worse some sucker to actually fix their problem for free. I want get started on the obligatory “can anyone recommend a plugin that does x” question that fills every community blog either. Hey James, thanks a lot for your comment – I can’t agree more. Regarding the problem in question, unless there are any public regulations on the required skills, or a training program, or anything else official – everyone would be able to do whatever they want and clients won’t have any access to a source that would define the skills an expert should possess or what a project looks like. It’s a matter of sales and that perspective could definitely be shifted in the worst possible way without any authority stepping in. You are EXACTLY right and I’m passionately behind this. We’re releasing our first commercial plugin this week and deciding on the right pricing model was a challenge. In the end I went with what I considered a reasonably high price but am still considering raising it because, as we’re all experiencing, low prices hurt everyone in the industry. I don’t know what actions to take to help the WordPress economy change gears. Perhaps all we can do is lead by example. Thanks for commenting out, Kyle! There are plenty of great plugins out there charging the right price, but due to the average price of most plugins they don’t get the love they deserve, which causes authors to build broken solutions at the end or charge for custom development (which, on the other end, limits the community from getting access to great and powerful solutions). 99% of the problem is from India/Pakistan/Phillipines. And just like how they don’t show up on the annual WordPress survey, they are unlikely to read your blog post either. Every day I wade through my oDesk invitations. It seems that increasing my hourly rate has only increased my invitations. Frustrated clients understand the source of the problem and seek quality. It’s been months since I’ve had to scroll through jobs and apply. I would rather not put labels, although I can’t disagree that some regions are far more popular when it comes to low quality of work or so. Let’s just say that there are exceptions, and there are people in other countries in that same number. But anyway, clients are indeed frustrated and they look for the right solution after they’ve been burned. The problem here is that it’s usually a post factum from two, three or more attempts that failed. Moreover, some clients realize that after a year or two with the old site, when their customers don’t show up at all or their site is hacked. As a follow-up, it occurs to me that you have correctly identified half of the problem, the 99% of devs who work too cheap. But there is another half to the equation, the clients. And the clients who are drawn to WordPress for the ‘easiness’ and cheapness aren’t businesses or enterprises. They are bloggers, internet marketers, etc. And if 90% of WP sites are bloggers, and if they hire the 90% of devs who work cheap, doesn’t that sort of cancel each other out? In other words, it’s the majority but low-end segment of the WP ecosphere, both devs and clients. I don’t think it will matter in the long run because all it takes is one back experience to chase a client to quality. 90% undercharge in my opinion too, but the low barrier is there due to the inexperienced people who charge low and misrepresent themselves for developers, and the large number of decent free plugins. Having 90% of the project done for free doesn’t justify 4 figures for the other 10% even if it’s dozens of hours of work. That’s an article every potential client should read. It is so hard to sell quality development for a fair price. Everyone is just like “I can get it for half the price here or there”. That’s a problem because it’s harder for you to pay the bills as you sign less contracts, and it could be tempting for real WordPress developers to sell “low cost” projects where the take prices down as well as quality. One thing I find myself doing more and more is not mentioning WordPress in early negotiations and talk about it as late as possible. Hi Juliuen, not mentioning WordPress actually works, and it’s really sad that we have to use that. I’ve also noticed a counter-reaction when WordPress is mentioned, and it’s either “a blogging platform”, or “not safe”, or something else. That perception is caused mostly due to the millions of hacked websites every year built by those 99% mentioned in the article. To turn the tables a little bit — no offense intended — can I ask why you have prospects arguing with you about their $200 websites and you feel the people who work at that price point are competing with you? Shouldn’t that figure be an immediate prospect disqualifier if you want to command higher prices? Similarly, why did you interview 1,000 people on oDesk and eLance just to find 5 adequate developers? If there were no better sources and the value you received was ultimately worthwhile, then it seems the system worked for you and the developers you hired. Have they raised their rates at all, or do you think they are chronically underpriced? I totally agree that quality assurance and clarity (for the untrained) about what you are buying/hiring is not great and never has been for WP or any massively adopted PHP/MySQL application with a big commercial ecosystem. I just don’t think the products, the people, and the pricing are problems that could have been prevented and need to be fixed. They are the natural outcome of massive popularity through radical accessibility, and they are self-correcting problems as long as core development does not stall and the core community remains solid. On pricing — There would be a problem if low quality commanded high prices. That would indicate an information poor, collusion-infected, or monopoly controlled market. Low quality commanding low prices is normal and healthy. It allows higher quality to set itself apart. Higher quality that is undersold is not hurting its market and is likely to make corrections. On people — It’s inaccurate and harmful to frame the WP ecosystem in terms of insiders versus outsiders, true church versus false church, “us” (good guys) versus “them” (bad guys). You’ve profiled several types of people who work with WP, and I think you’ve picked from the bottom and cast them in the worst possible light. It’s not necessarily inaccurate, but you’re not seeing the nuance or the positives. Overall the indicators indicate people are learning, growing, and commanding higher prices. You just can’t see it by looking at a stereotypical “bad case” at one point in time. I could say a lot more about this and give you some other profiles. My guess is that there’s a large 10-40% of C+ to A+ designers, developers, and agencies who contribute in small, indirect, or simply unnoticed ways to WP. The inner circle tends to be fanboys who think they’re in a closed shop, but many people do not work this way. There is no WP union card, and I doubt it would matter if there was. On product — The high level developer view of WP is often very narrow and idealistic/unrealistic. If your peers and clients look down on WP for being the Soyuz (1960s technology) and not the space shuttle or the really cool thing some internet billionaire is going to build next, ask them which platform is launching more payloads into orbit today? Arguably this analogy breaks down on pricing somewhat if you consider second-generation Drupal: it launches fewer but bigger and higher value clients with a smaller, more professionalized community and ecosystem. Nevertheless, WP has certainly been enjoying long term upward spikes in the prices it commands, and in growth and professionalism. Does it need to follow someone Drupal’s lead or find it’s own? A Drupal 8 for WP would be the end of “democratized publishing.” I’d hope and expect it to generate a Backdrop-like fork in reaction. Joomla tried to follow this path too in its own way, and it seems like that was the wrong move made too slowly or too late. Joomla is still viable in good hands with a good network and good marketing — almost anything is — but it killed its strengths rather than playing to them when it was in the market leader position WP enjoys now. Hey Dan, thanks a lot for commenting out, it’s appreciated. I was replying for about 40min now before my browser crashed and lost most of it, so I’ll try to recap whatever I could. Last year I was receiving ~10 requests a week for $200 websites. I had to blacklist all unknown numbers for a few months, and add a canned response for my email. Long story short, getting about a hundred requests like these for two months were alerting as to the customer’s mindset and expectations nowadays. So my personal stats are pretty solid with my online research. oDesk, Elance and PeoplePerHour are great ways to find people right away, without geographical limits. I’ve hired 3 people from my own city who applied for jobs over the years. Try this out: submit a job post for telesales or PR. You’ll likely get no applicants whatsoever. Then try posting a WordPress job and you’ll likely receive 30 applicants for 15 minutes. More than 90% of these are automated bots that bid on everything that moves. Post a PHP core dev with WordPress background and you’ll get 25+ PSD to HTML people, or WordPress VAs. That’s what I’m talking about. Low prices in the product/theme market suppress the ecosystem big time. With an average of 100-200 sales per theme in a theme market, where your profit is $25/theme and each theme adds tons of widgets, 100+ theme options, 5 sliders, page builder and what not, how would you expect to build a quality solution and support it afterwards? But clients buy all of those crappy themes. Other theme markets selling $150-$200/piece usually get no attention (almost). People building light and fast themes can’t sell either since customers want the monsters. It’s similar with the plugins space, check out my $15 gig post. So yes, low prices hurt the ecosystem, which affects the platform, the community and everything related. As for the people, community and product. Extreme points of views get more attention and are likely to lead to some change. That’s why there’s labeling and categorization here, which seems insulting at times – which was not the case. Yes, 99% is not “the whole spectrum” and correct, people can still be experts without being in the community. But I know what happens with our agency if we don’t spend like 15 hours/week (total) on taking care of emergencies due to new versions, trying out new tools, changing the direction based on other rapid changes, updating our products based on a new WP version or anything else. On top of that, we have to patch other plugins, build “bridges” between incompatible ones, give back to the community not just because we want, but because we need it to do our work. And yeah, you can be on the outside and still make a living, but there’s so much going on inside the shell that it’s totally different. And yes, people have no incentive to join the community if clients don’t care about it either. There’s no contractors directory or contributors list, or whatever. A single profile is useless, and doesn’t list properly all contributions. Clients make no difference between someone who’s started a week ago and someone with any background when it comes to a small web solution. But building a lego looks like a custom build, but it’s not; and there are tons of drawbacks for a growing business that the client is unaware of. Even more, most clients would hire someone with 50 WordPress installs instead of someone with 10 custom builds – themes, plugins, setup, 3rd party APIs and so forth, just because they look alike. That steep learning curve for other languages, platforms and technologies (even Symfony, Zend, or Drupal are much more distinctive) is the reason why the quality is blurry, costs affect the end market and the ecosystem is limited. The product prices are unrealistically low, and don’t allow for high quality, premium support or optimizations of any sort. About the client’s perspective, I’d totally recommend Morten’s “WordPress is not easy – and that’s OK” which is sad, and true. Thanks again for commenting out, I always appreciate constructive criticism and brainstorming together when it’s not simple flaming or trolling. Thanks Mario, that helps me understand where you’re coming from a bit better. I’m sorry your first response got dumped. I hate it when that happens. To me what you’re describing is a bunch of self-correcting problems when the glass is really half full or more. Envato needs a direct competitor, and maybe it will get one, but they are by no means a purely bad thing for WordPress. What they have done that helps everyone is create a huge market, huge brand recognition for WordPress, and the opportunity to step in and tell people “that’s the shallow end of the pool. After you get your feet wet, come look over here.” These folks are not “outside the community,” they are just entering it. What happens next is on us. Low prices do draw expectations down, but that allows you to educate people about price and value. I have had a few clients who came to me with mediocre ThemeForest themes they were already using or wanted to use. (They’re really not all as bad as you describe, but I always cringe too.) Because these were obviously low end accounts I didn’t see any point in trying to get them to buy something else. What I did do was explain the problems they had and the ones they could still avoid. If they had let someone customize/hack up the theme rather than use a child theme, I explained why it couldn’t be upgraded without breaking and the risks this posed. If there was a separate commercial slider baked in too, similar story. I also explained consequences of using CPTs that are baked into the theme, and why this is a blight in many TF themes. I gave them to option to have me fix these things incrementally or move toward a completely new theme. But mostly they were coming to me to handle their domains and hosting, and to make sure they stayed up and didn’t get hacked, to run updates, etc. And that alone would start at $500/yr. or $50/mo. at the non-profit rate. So the needle there is being moved up on price, quality, and consumer knowledge and expectations. You cannot expect more because consumers are buying from the big markets and do not see alternatives or any clear messaging about the drawbacks. It’s not their fault, it’s our opportunity. Not necessarily to take them on as clients but to make it clear where they stand in the larger picture. A higher barrier to entry on the developer side wouldn’t change much for WordPress if it was still a relatively simply matter to set it up, add functionality, and modify presentation. WordPress is successful because that barrier has been so low that designers, writers, marketing people, and the 99% of the population that is not developers saw it as a way they could build and operate their own site. That’s what “democratized publishing” is. This 99% does not need someone fluent with Zend, Symfony, etc. You don’t even need to know PHP to work with WP. I’m not comfortable with the idea myself, and I have a hard time seeing how this works out in practice, but I remember WordPress getting big when designers adopted it because Movable Type burned them, and WP was simple to learn and theme. I remember doing very little with Perl for MT but getting introduced to PHP (for theming) and MySQL through it. It was the first big accessible CMS that anyone could learn to assemble. People do learn as they go, and it’s not necessarily total ignorance and awful when they start. PHP literacy also seems less and less important, and the same goes for hosting and server side issues, security, performance, and so on — if people buy the right tools and services to compensate for their weak points. (Chris Lema is always promoting this sort of thing.) Today managed hosting is focused on supporting developers but also compensating for agencies that are short on developers and people who speak server. Pantheon is pitching itself to successful Drupal and WP agencies who — to imagine a common profile — have grown up over the past 10+ years maybe with one sysadmin (or none) and now have a ton of clients on a managed, dedicated server or some other setup that is lots of risk, high cost, and headaches. I suspect a lot of agencies (and not just freelancers) are marketing and traditional design people who learned enough to get by and bought or hied what they needed along the way. In the hierarchy of needs, high level developer skills come behind the ability to sell/market yourself, manage clients, manage projects, and deliver a result that meets aesthetic and functional specs. Let me leave you with two profiles of people I have known on the outer edges of the WordPress community who do quality work, have good business sense, and aren’t simply mercenaries or free riders who “don’t give back” — but they are still very far from the “core community,” and I think there are valid reasons for that. They have to see the value. Even if they don’t, they are still creating value for WP. EXAMPLE A: A full-time developer with a CS degree and corporate job moonlights with Joomla and/or something else from 2006-2010. His day job involves integration and support for 20-30 year old “enterprise” systems he sees as complete garbage. He forms a company on the side with his wife and a co-worker who is a graphic designer. They do well building custom Joomla sites in a small, tight market where their $50-65/hour rates are considered high. The nearest city is 150-200k people, and the cost of living in the region is well below the national average. They’re all married and have young kids; they’re taking home between $25-$50k extra each year on their side job. (This looks great in middle America but not so great on the coasts or big metropolitan centers.) They have very low operating costs. They have a good network and know how to sell; they pick off all the $10k+ projects they can. They buy and build templates and extensions, but they never contribute back anything they made themselves. They see a lot of negative and confusing drama in the “community” and do not feel part of it or attracted to it. They host and support their clients well and over the long term, but they do not really serve and benefit from their clients the way a marketing agency would. Eventually they are get acquihired by a print and digital marketing agency. They drop Joomla for Expression Engine, which their employer is committed to. They see but don’t understand the growth of WordPress as a “CMS,” and they are tired of the unprofessional messy markets, the fanboy drama, and the unstable prospects of FOSS. At the same time no one has really made a good case for it to them. Their area has never had a WordPress meetup. Web development and marketing agencies are clustered around other platforms like EE and Drupal but occasionally use WordPress. A local “code school” teaches basic WordPress and Drupal. Hey Dan, thanks again for the detailed reply. I believe that this is not an argument, but rather different nuances of the same situation. A coin has two sides, and so does the WordPress platform. It’s great that non-technical people can find their way through WordPress – I’ve met hundreds, if not thousands of them and it’s a great opportunity for sure. It’s also an interesting fact that a large number of developers have learned PHP thanks to WordPress. It’s also beneficial for small businesses since the cost of bringing a business online is incredibly low now. And yes, all of the above are great, and I mean it – just as I’ve helped, coached and mentored people who have just started with WordPress. And just as I’ve taught WordPress in schools, universities, academies for non-technical people and a foster care home. On the other end there is the limitation. The whole “easy to get in” and “visible results after a few clicks” mindset limits the experts and their effort. The fact that 80% of the work seems to be done after an hour or two doesn’t mean that this is stable, or that the other 20% would happen in minutes. We can certainly educate the customers, but between all of the fake deceptive offers online, enormous corporations selling GMO food and sugary sodas, or political games stealing tax payers’ money, customers have become afraid. Afraid of being cheated on, stolen from, or tricked into signing a bad contract that would cost them a lot. That said, the distinction between a $200 website (to get back to the example in hand) and a $5K solution does not make sense to them. Yes, we can try to educate them and spend time with them, but they’ll likely pick the cheaper option. And fail, and try again. And possibly realize what’s going on after the third time, or two years later after their site is hacked. Or, in reality – never realize what happened, but just blame the Internet for being inefficient and users for not going to their website, not liking their social media accounts or what not. So that’s delaying the consumer’s online education. That’s preventing the creation and improvement of better payment gateways since “sites are insecure”. That is the blocker for countries to implement e-Government. And so on. In other words – yes, the clients are not to blame here, and yes – they don’t know better. But that incredibly large pool of self-made “experts” isn’t quite progressive since they’re not honest with their clients. And the main reason that they’re not honest with what they deliver is – they don’t know how much work actually has to be done for a reliable solution. I’ve seen WordPress experts abandoning the ship since it’s no longer possible to play. They build products that are constantly broken due to all of the other poorly written solutions out there. They get contacted by more and more prospects with unrealistic expectations planted by the other “experts”. They can’t seem to grow their teams since all of the CVs by “experts” come from people who have “once” installed a plugin. And so forth. It may seem a little drastic or extreme, but these are real cases – the pool is growing constantly, yet finding a talent becomes an art. If you read that again, I’m not against the low learning curve of WordPress. But the lack of “border” hurts the ecosystem, and unless an action is taken soon, we may as well end up with $30 bloated themes, lack of new features since no one is to pay for them, and no one to do all the free work. I’m all about Open Source myself and I’ve actively contributed to numerous platforms and communities for so many years, but it gets harder to spend time with every year since I have to spend more and more hours on educating clients or vetting them based on their initial expectations. Yes, I’ve been watching that discussion at the Tavern. I think we’re coming at this with similar values but different goals and perspectives. What is the “action” you think should be taken to prevent the disaster you see looming ahead? Would you like to get rid of all the people you consider sub-/non-expert developers by making it hard to learn to build with WordPress — because then the experts then would have a lot of work? From the <$5k clients you described? The top WP development firms are not struggling because there are freelancers and <6 person agencies doing projects from $200 to $5000 to $15000 at varying levels of quality. I don't see these companies struggling, and I am pretty sure that is because their clients start 10-20+ times farther up the food chain. The tight market probably exists with 2-5 person teams and freelancers who have the talent and ambition to want to take home $100k/yr, or thereabouts. They have high operating costs and liabilities that smaller teams and freelancers do not share. Those smaller teams and freelancers may have much more modest goals as well. They may be less skilled on average, but not by much. Many are stellar, and what really matters is they have the business. They closed the sale. This isn't me just making wild guesses; Newfangled has done (and shared) far more detailed research than WordPress about the agency+freelancer space (and how they are related) which they understand is not just about one platform, or just the web. I looked into this stuff pretty deeply when WP started its surveys and pulled together other sources as well to better understand the market. Nobody ever really knows "how much work actually has to be done for a reliable solution" in a complex project or even what the standard for "reliable" should be. Educated guesses are made, and a reasonably informed and ethical person isn't going to be dishonest about it. They probably feel very keenly the danger of over-promising and under-delivering. Demonizing and denigrating them is just the sour grapes of resentment and a waste of time. They closed the sale. Let 'em have it. I believe that both of us can come up with quotes, researches and perspectives for as long as possible, so we can just leave it as is for now. I definitely do agree on the different perspectives, since my background is more enterprise-y and I’ve seen the same solutions being built for a lot more, by agencies many times larger than the largest WordPress ones, with teams much more capable and powerful in a given way. The scale is incredibly different because of the opportunities, and having 10 or 50 popular agencies with more than 10 or 30 people in the WordPress ecosystem compared to thousands of companies with tens of thousands of engineers doing pretty much the same type of work is a valid concern from my perspective for the ecosystem. What would recommend a beginner who wanted to start with WordPress development? What level do you need be to be able to call yourself a WordPress expert? I don’t have a problem with a lower level developer when they know their boundaries and can offer the respective services. Someone with 6 months WordPress experience get easily create a basic site with a child theme and following the best practices for $200. But I don’t think any of these levels — “high” are “low” — are necessarily “WordPress experts” unless they define their area of expertise — exactly as you said. You can be an “expert” by defining your expertise as a WP trainer who “only” knows how to use WordPress in a particular set of configurations and use-cases. Maybe what really matters is knowing *more* than the people you’re serving and that being *enough* to do a good job for them by their lights and broader community standards. @Ulrich, @Dan, my reply will cover both of your comments here. Admittedly, I am really old school when it comes to education, or title assignments. I know that in the “modern world” there are tons of jobs that pop up out of nowhere, such as “Amazon Marketing Expert” or “Senior Growth Hacker” based on the trendy words of the day. When mentoring my students or mentees, I try to focus on two verticals at the same time. 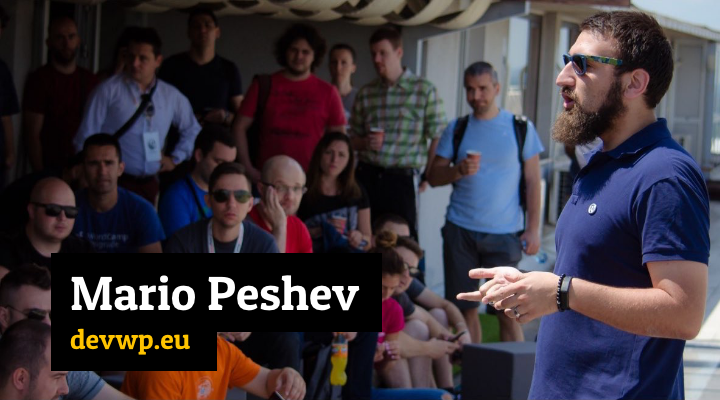 First, learn your language, your tools and get better at what you do – in the WP context, it’s knowing your APIs, IDE, best practices and conventions for building plugins, themes etc. That’s a skill that is always in development, but once you get better enough, you’ll learn less and less every day (90% of what you read you will already know and will have tried before). But the second vertical is more interesting. Quick story before that. Yesterday I presented at a OOP course in the Software University here. People learn C#, Java and PHP at the same time. Then they do exercises (labs), team projects and homeworks in different languages. It takes time to get better in general (like, know how to build desktop app, web app, deal with DBs, use web services etc) but they learn best practices and expand their knowledge by learning several different languages and platforms. They get ideas from different places, and see how design patterns are implemented and make sense in other platforms. That’s why experienced devs start reading books such as “The Pragmatic Programmer” that don’t focus on code, but on philosophical question regarding the engineering process itself. Or “97 Things Every Programmer Should Know” (which is more basic, but has some good tips from experienced people). The former one advises on learning one new programming language each year. You’ll be surprised how rewarding it is, especially if you turn to functional programming languages or some esoteric/historical languages – it says a lot about why is something implemented the way it is in your platform, or how to find workarounds in your daily problems. Having said that, my second vertical is – knowing your entire stack. All the way to the bottom. Computer architectures, the basics of low level languages, how does the CPU stack work or what is the dynamic memory in your RAM; what is caching anyway (and different places to cache), how does the OS operate with the hardware, what are web/db servers all about, how is the data stored there etc etc. Some basic know-how about data structures, algorithms, even some basic functional programming. There is more to that – such as performance and security, debugging everything in your stack etc but you get the idea. All of those seem to be somewhat standard for the C#/Java communities for example, since the languages are more restrictive, there are established frameworks used by most people, conventions are ran by a single entity (Microsoft or Oracle respectively), and they are overall heavy and process large arrays of data. If you try to do a dumb DB query on tens of millions of DB records, you’ll notice that it takes hours to execute. If your OOP hierarchy isn’t built the right way, you’ll find yourself writing the same code over and over again, and pollute your project (although it’s more likely for your senior to slap you when he sees that). There are also certification programs that focus on the best practices – both for MS and Java. PHP also has Zend (unfortunately with a single PHP-related certificate). WP people don’t need to know ANYTHING in order to build sites. “How to setup a WordPress site” will probably reveal step-to-step tutorials that actually work. That makes it easy for most people to get in, and that’s fine. The problem is in establishing experience. “WordPress expert” or “Senior WordPress professional” is a common label for people with no technical experience. I don’t mind the millions of people who install WordPress sites. But that’s a VA work, and not WordPress development. Look for VA job offers and you’ll see “being able to install WordPress, setup a few plugins and enter content” in most offers – that’s not a separate skill itself. The large number of WordPress “experts” make it hardly possible for the real “experts” to get exposure. While Dan sees an opportunity here, I see a lot of effort for marketing, hours and hours of negotiations and teaching people what’s the difference between the 99% and the 1%, and sounding ludicrous justifying the actual development process and costs of real development in comparison to “installing a site”. Also, I disagree on the fact that you can build a decent solution for $200 if you account for all the time that you actually need to make it work and all the money involved. If you actually make a living off it, you need to count the communication (meetings, emails, calls, whatever), hosting, deployment, building a theme (or buying a framework and building that child theme, or so), optimizing images or whatever. I don’t want to get into details on that one, since I wrote about the business growth problem at http://www.wpelevation.com/2015/02/grow-your-business/ and some of the things experts have to do as part of the service at http://devrix.com/tutorial/can-website-grow-company-grows/ . I would imagine that, if I was not a community and a technical person and I have to review 100 of WP “experts”, I wouldn’t be able to find the most experienced ones in the pile of applications. I would decide that the 10 WP installs with free WP themes are more (as a quantity) than the 2 large SaaS multisites by someone else (10>2) or something like that. Or that a beautiful premium ThemeForest theme seems more professional than a telecom Intranet software that’s just not designed as well. That’s what I struggle with. “Integrator” or “Customizers” label themselves as “Experts”, and actual experts don’t have a title to use, a certificate to show off, or a directory to join that allows them to position themselves properly and spend their time building solutions and not negotiating all the time. Agreed $200 is BS just from a business perspective, but defining “WordPress Expert” narrowly as a high level programmer or software architect/engineer is not only inaccurate, it is pointless outside a (corporate) market where this level of expertise is wanted and understood. Everywhere else — e.g. companies without an IT department or just one guy and some interns working on mainly the internal network and hardware (no developers) — it is not wanted or understood. If it was understood it would not be wanted because it is too much cost over benefit, especially in terms of long-term support costs and liabilities. A meticulously engineered site/application adds less value to the typical SMB (small to mid-sized business) than one that is adequately hosted and supported by people of adequate general and specific competencies. An engineer trying to sell a $10-15k SMB project on his expertise and great “custom solution” will lose the sale every time unless someone who understands the client gets in front of him, and he is probably working in the wrong market if this is the type of project he is bidding on. Sorry to repeat myself, but engineers cannot and should not compete with the lower end of the “full service” marketing/design/long-term support pool. I’d say their value is to work above this market in the enterprise sector or to help the upper end of the “agency” market access “enterprise” markets where highly custom architecture, security, performance, and legal compliance needs come into play. I agree with you. My only objection here is – if we focus on the engineering side for a bit – how is an engineer about to define himself/herself in the epic market of “WordPress experts”? Again, what I’m implying here is that WordPress expert is overrated as a term. SMBs are not looking for WordPress experts – they’re looking at integrators, installation experts etc, junior WordPress developers or whatever. It’s all about the wrong perception of “WordPress expert” and the inability to position yourself as a technical expert somewhere. WordPress Expert, WordPress Specialist, WordPress Consultant, WordPress Trainer, WordPress Guru are all used by people with no technical knowledge whatsoever, and there’s no suitable title for an engineer (or a group of such) to define people who actually do technical stuff. And yes, if you want to grow a technical agency – building large solutions, complex plugins, WordPress architecture SaaS thingies – the things that my agency does for instance – we need to spend our money on marketing, PR and sales in order to show anywhere on the map. We don’t compete with the $200 developers, and we don’t mind them. There is just no clear path – or pool – with engineers who can be hired, outsourced to or whatever for custom development, high-end solutions, large platform architecture and so forth. The only resource for the top engineering companies is http://vip.wordpress.com/partners/ which is close to impossible to get listed in. Is that clear now? Let’s have the 99% folks do their stuff. SMB clients, small blogs and similar don’t need the 1% anyway. But let’s have a clear way to find out the 1% somehow, and let large corporations, enterprise clients and higher end companies access that pool without spending weeks to interview experts with no background. And again, I get people applying for a job with us, positioning themselves as consultants and experts without having any prior knowledge in development. And personally I don’t have any way to look for guns for hire other than people I meet at WordCamps. I think I understand your perspective, but I’d say it’s better expressed without making high level, certifiable IT and WordPress experts the absolute standard of value across all markets — and without blaming other market segments for making it hard to differentiate and sell yourself in your market segment. I think this is not something new to just the WordPress community. I have faced this in other areas. I have looked for a French teacher in the past. The problem I was faced with how can I find the best teacher for me without them being overqualified and charging a large amount. I had the same thing with finding an account. I do not need an “expert” accountant to help me with my small business accounts. As to finding qualified people. The reason why there are recruiters and HR companies is that there is a need. Finding Talent is not easy. That is why the WP agencies are mentioning whenever possible that they are hiring. They are able to pick out the best from the large pool of applicants. In Switzerland you need to have a certificate for everything. The problem with that is people who do not have the necessary certificate lose out even though they have a proven record. You need to accept the fact that the WP market is very easy to get into and this allows people to get started making money from doing jobs they are able to do. Companies need to market themselves for their target markets. However much you would love to skip this, it is needed. I feel you are not marketing your company(devrix.com) to the market that you want. Here are a few thoughts. – I stopped reading after the first line so I only read “WORDPRESS DEVELOPMENT SERVICES”. Your and my definition of big might be different. – The call to action button “Want a website” is targeting people who do not have a website but not enterprise companies. – I have no idea how long a site takes. $55 sounds cheap, you should be able to build the site in a few hours. So things are different for everyone. And while I put some labels here and there, I try to be as open as possible for different people with different level of experience, in different countries, different race, gender, cultural specifics and much more, and it’s also a projection on my personal contact with thousands and thousands of WordPress people. As for my site, I do agree that we have mixed messages here and there. We actually change the content all the time and do A/B testing for the main messages and call to actions. Since August we’ve changed them at least 25 times each. Also, we use several different tracking and analytics tools that help us to profile site visitors, look at heatmaps and so forth, and we add content based on some search queries, questions in different groups etc. But fact is that we’ve had zero direct customers from our website. We have regular contact form submissions, but they just hit the contact form without reading anything. We also have a few other websites that run separately, some profiling in high-end architecture, scalable cloud systems etc, the other is in the low market. We run various experiments with them and analyze them too, we run paid ads in order to see how people respond etc. The only thing that gets traction is the site that offers lower cost services and we get about 10 inquiries a month (and outsource them to freelance friends). About the pricing. We actually added the first bit of pricing about 4 months ago. It was in our “Work Process” page. Then we introduced the Pricing page with some rough budgets (it’s obvious in the menu, mind you) and recently we’ve changed the site title which actually worked better for now. Like I said, I do agree with some of your comments, but we run A/B tests, we have several other sites to experiment different messaging and strategies, and we analyze a lot of data. I’d love to chat with you if you want to know more, but Human Made are in the UK (geographical advantage), and are a VIP partner. I’m not saying that it’s all marketing – all of them are INCREDIBLE, it’s just a small league of 10-15 agencies with tons of leads and 99% of our traffic is people that are not in our target. We spend money on PR and Sales and it works as long as we don’t mention WordPress really. While we are dispensing free unsolicited advice here is some more that I can’t claim as my own ideas at all; it just some of the better advice I’ve come across from true experts. Pricing yourself with an hourly rate in US dollars that’s the average for all “WordPress workers” (according to the annual survey) probably doesn’t help differentiate you, it probably sends a confusing signal to US-EU markets. If you want to put a stop to a lot of bad leads I’d drop those figures and suggest a much higher floor. Maybe price by team members per day or week for retainer based sprints? You can play to strengths beyond technical ability and experience — English fluency, WP community role, etc… Communication and trust go together and make the sale/start the relationship. @Dan, I believe after the Advanced Developers group discussion with about ~150 comments regarding the definition of “WordPress Developer” my point makes much more sense now. The fact that people label anything a Developer or a Consultant is a clear sign that this is a real problem that needs a long-term solution. I still would say it may be problematic, but it’s hardly new and not really a well-defined problem at all. Certainly there has been no attempt to objectively analyze it. Who are these people really, and how numerous are they? Who are they harming? You focus on the impact the amateur or mis-named “developer” has on the market for professional developers, but perhaps there are many more dimensions to it. My reflection on the WP FB groups is this: I see a LOT of diversity, and where it seems to involve a lack of professionalism or ignorance, the relevant area of concern is not always or exclusively technical — it may have to do with business and legal issues that even a full-stack developer may not understand or rate sufficiently high. Is it a lack of developer cred that leads to a major, respected WordPress or hosting company storing customer account passwords in plain text until they get hacked? Competent developers probably put both of these systems in place. Competent developers do things like say “yes” to eCommerce projects that are liable to be real or inadvertent frauds. Is it a developer’s responsibility to care that a client has no plan or apparent capacity to fulfill orders? There is a bigger picture here that goes beyond mere technical competence. I think there would be broad agreement that the diversity (and secondarily the volume of sub-professional actors) in the WP space is mainly a result of the lack of friction in acquiring cheap hosting with many “unlimited” features. The lack of friction involved in installing and configuring WordPress is a very secondary issue that is largely based on the prevalence of the cheap hosting, not to mention cheap hosting specifically marketed as making things like WordPress “easy.” But even if you took away these “easy” entry points, there would still be capable developers who make mistakes and do unprofessional, legally and ethically murky things. Why should there be less concern about that, or a tendency to see it as a totally different issue? “The corruption of the best is the worst,” isn’t it? Capable developers and successful WP businesses are not so comfortable with the “professionalism” topic when it potentially turns against them by debating or prescribing professional models for doing business with the GPL, for data privacy/security, and so on. Perhaps what everyone might agree on is the need to have these discussions in audience-appropriate contexts — a range of semi-private, semi-public spaces where WP folks can honor the fact that there are multiple levels of professionalization, with a lot of gradations between perfection and complete abjection — two extremes that don’t describe a single actual person. Having some clear ladders up would be healthy; building one and kicking out the middle rungs would not. Speaking of “Capable developers”, I see it this way. The majority of the work that everyone in the market does is using the Core, and a set of plugins plus a theme. All of that work is done by developers – backend and frontend guys. A business solution includes tons of other things, of course, but should we not pay attention to the development ecosystem, the platform will seize to exist and another platform should be used instead – other platforms have disappeared with time due to the lack of attention and love from the community, and it is a fact. Underpricing and not paying enough attention to the people in the community is a sign of a serious problem. You may not be aware of that, but there was a special program for attending WordCamp San Francisco and the Community Summit by the community contributors who cannot afford it. Does it make sense to you people spending quite some time making WordPress what it is not being able to pay for a flight and a few days brainstorming with the rest of the community? I was there and I saw that, and SiteGround sent me as their Ambassador but it would have been problematic from a financial standpoint to go otherwise (even though I flew over from Europe). A healthy community wouldn’t cause that sort of issues for dozens of US citizens too (much cheaper flights or driving option) and that’s not a viable option in the long run. And there is not a single directory of people and agency dedicating their time to the platform. Most folks do it on the side, and often stop doing it for a few months until they can catch up with some cache in order to reinvest their time back in. Low prices for themes and plugins lead to unsustainable business model and disappearing marketplaces, low theme quality and vulnerable plugins. If that keeps going on, I wouldn’t be comfortable using anything myself other than the core itself, which would make WordPress much more useless than any other framework or CMS out there. You’re assuming that WordCamps are for professionalizing amateurs who may have problems paying to go to an already inexpensive conference. You’re also assuming that there are a lot of amateurs, and they’re the big problem, so you need to get them to WordCamps. I think this may be wrong on every level. WordCamps are not professional conferences, they will not do much to “professionalize” attendees (nor is this clearly a major goal), and even if they tried to serve that purpose I think it would be highly inefficient if not ineffective. It’s perfectly possible to pay lots of attention to the people active in the community and for it to be passive attention — mostly or exclusively listening rather than active or direct contributing. This may even be the default posture of most digital/marketing agencies of any size when they do not use WordPress exclusively or as their primary platform. (This describes forms like Newfangled and half the agencies in their 2012 survey that I linked in my comment to your latest blog post today.) They do not send their professionals to WordCamps; they send them to professional conferences. If I am right about this, you should worry less about the problem of the amateurs and focus more on the opportunity of the existing professionals — the print/web/digital agencies and corporate marketing/communications/PR people working in the public and private sectors where marketing folks often decide or influence things like CMS adoption. WordPress is and always will be just one tool in a profession they’ve been doing before the web and WordPress were things. The WP community has, to my knowledge, zero presence in existing professional associations and conferences like the American Marketing Association (AMA). The AMA’s national conferences cost a lot more than WordCamps — they’re on par with the “controversial” WP LoopConf fee. Probably most of their attendees’ employers foot the whole bill. These are US-based examples, but I think the same point holds for other 1st and 2nd world economic markets. I agree about the level of the talks on a WordCamp, but I wouldn’t compare WordCamp San Francisco and the community gathering with any other WordCamp in the world except for WordCamp Europe. It’s a different beast with other events attached to it (especially 2014). I don’t mind the higher costs for professional conferences. But as you said, these are US-centric, and we need to also count the significant percentage of people across the world. That’s a different story, but it still applies. My point was not about the conference part, and your remark that they are cheap strengthens my point since it should be much more affordable and yet, it’s still not achievable for too many people. Shockingly enough. It might help to differentiate the national-level WordCamps by advertising professional tracks and finding ambassadors who work primarily in a field like marketing, journalism, higher ed., etc. Maybe that has been tried; it’s not something that’s caught my attention. My point was more at there being lots of people for whom a WordCamp is affordable, achievable, but not desirable or not a priority because they do not make their living from WordPress and have no idea of it ever doing so. A university, newspaper, or biggish company that uses WordPress will have employees for whom WP is a routine part of their job, but they will never see WordPress or a WordCamp as a real center or hub in their industry — because it’s not one. It may be or become a significant node, but it’s one among many. These users mean more to WP than WP means to them, and wondering why they behave accordingly illustrates the whole problem IMO. If you look at the total number of people who say they make their living from WordPress in the US or Europe where there is probably a good survey sample, how does it compare to WordCamp attendance? Is it a really low percentage? I’m not sure about the right numbers regarding attendance. WordCamp San Francisco sold about 1200 tickets I think, and for WC Europe we sold close to a thousand as well. Most WordCamps in the US are 300-450 on average, and in Europe 200-250 is a rough number as well. Tokyo had over 1300 last time I checked. I didn’t realize WP is that big in Japan. Over 1,000 is outstanding — and on par with the annual national AMA conference, or something similar. Pretty big indeed. China seems to be silent still, but if they open doors, that would be another billion of potential users to the market. The main Chinese WP forum is approaching 300k members, which seems awfully small. Let’s talk about oDesk for a moment. I recently put up a Job request for theme designers. Front-end theme designers only, do NOT apply if you’re anything but. What did I get? ***COME TO ME ONLY FOR THE BEST. No, no you didn’t read ALL of the details in my posting. If you did, you would know NOT to apply. He also thoughtfully included his Cake PHP and MySQL projects. I don’t know about you, but the last time I saw a unicorn that could do great front-end design and MySQL work was in the movie, Legend. But hey…that 4.53hr is attractive. If you want to see where a lot of “certified” “developers” and “experts” come from, take a course from Udemy. They are having a promotion now where $500 courses are priced closer to their true value — $19. You know, I actually like oDesk. It may waste a lot of your time and you totally need a Master’s degree of freelance network hacking to use it, but it could be pretty handy. It’s like one of those things that you need to invest A LOT of time in so that you can get the right results. I don’t blame anyone for hating them though. It really requires a minimum of 6 months of experience (I have four or five now) in order to get past it, but it may as well be a good resource. And we can’t argue that it’s super powerful and there are millions of contractors there. The main thing with oDesk is the calculation of time vs. money. For example, if I need a 5 or 10 hours job, I’ll call someone who charges a lot but I know that I can trust them. On the other hand, if I need an expert in Fabric.js, 3D animation, Flash integration with Facebook or financial guru for solving a formula (I’ve hired contractors for all of these) for 400h+ project, then I may as well spend 20 hours refining my requirements, vetting people and even giving them test assignments. It could even be something in the long run – hiring a part-time person to do something. Currently I have 17 open contracts as a company (5 are paused) for various tasks that are time consuming. I often find people in the long run and we start with a small job that turns to a 2y+ part-time gig. That’s just an example. Getting back to my initial point – it takes time which may not be worth it at the end, and it’s risky if you don’t know what you’re doing. I feel qualified enough to vet people and have years of remote management experience, so I don’t have experts around me for some specific assignments or I am willing to invest in long-term commitment where people learn more about our business and adjust to our requirements and expectations. Ping me and I’ll email you my job template for PHP/WP devs if you’re interested. Having open source code available online is totally a requirement, and two of our folks are actually from oDesk and have over 150 plugins developed following the best standards, using a powerful framework with routing, escaping and more, Zend certified and so forth. On the contractors’ side, I rant a lot on oDesk since clients often contact me with “build Facebook for $200” – it’s way too often really – but occasionally I get some pretty good gigs there. One of my oDesk contracts turned to a over $90K deal that’s still work in progress – so I can’t be mad at oDesk. I just know when the time spent there could get higher ROI than hiring someone else. And I do the latter too, but I don’t rule out oDesk completely. And yes, the thousands of automated bots applying for any WP jobs without reading the requirements are terrible. oDesk have a spam detection engine that works sometimes, but I mark the rest as spam too. It’s a long story though, happy to discuss in details sometimes. Pingback: Should You Hire a WordPress Consultant or Freelancer?